Would you be kind enough to give me any information that you have that would enable me to get the application to run and all of the machines in the network? I have the server edition and I have tried using the DCOM setup procedure without success. Can you indicate to me how to set up the DCOM. I would like to share that QODBC is not the client-server application. 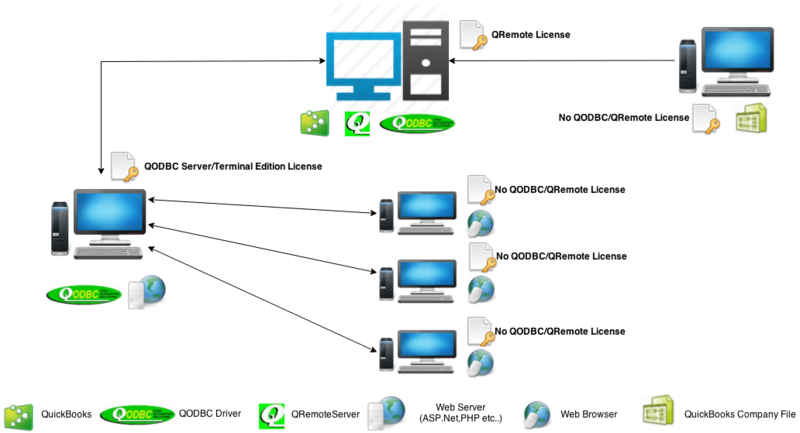 To access data from the remote machine you need to use QRemote. 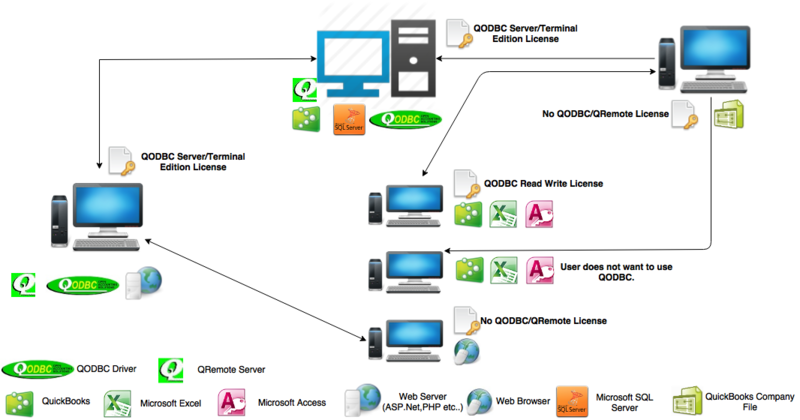 Install QODBC on the client machine and using QRemote client connect to your server which runs QRemote Server. The server version of QODBC is not a driver that you would install on a server and multiple workstations would have access to it. 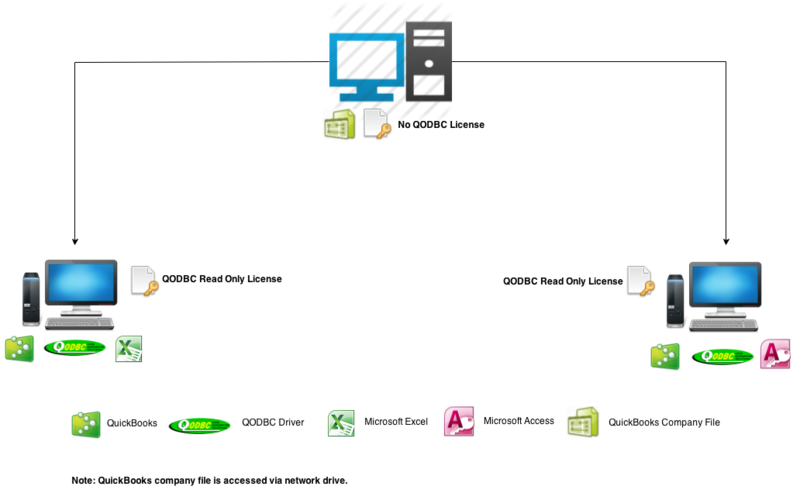 The server version of QODBC is for synchronizing SQL Server with QuickBooks data or for a web or intranet application, it is multi-threaded and can run as a service. 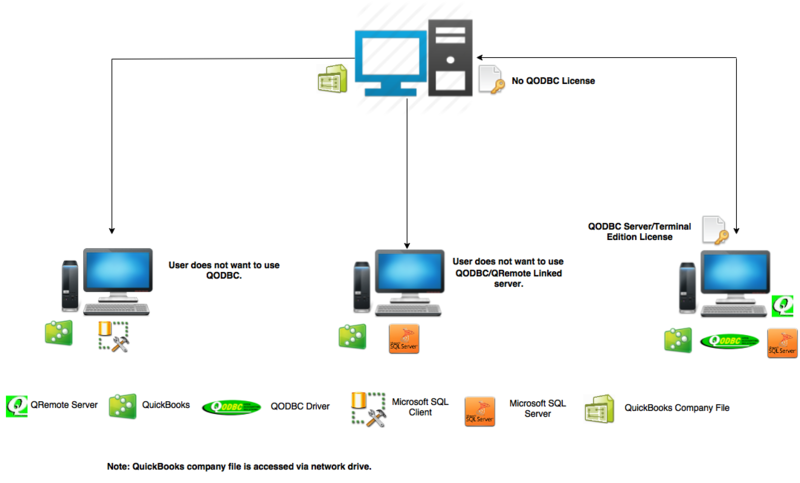 QODBC is a client-side driver that would normally reside on the workstations. If you want to work with live data on both machines then you need to purchase 2 licenses. You can continue your work with 1 license If your developer works with sample business file. For working with sample file no need for licensing. Your developer can work with sample file without licenses and You can test his work on your machine with licenses. 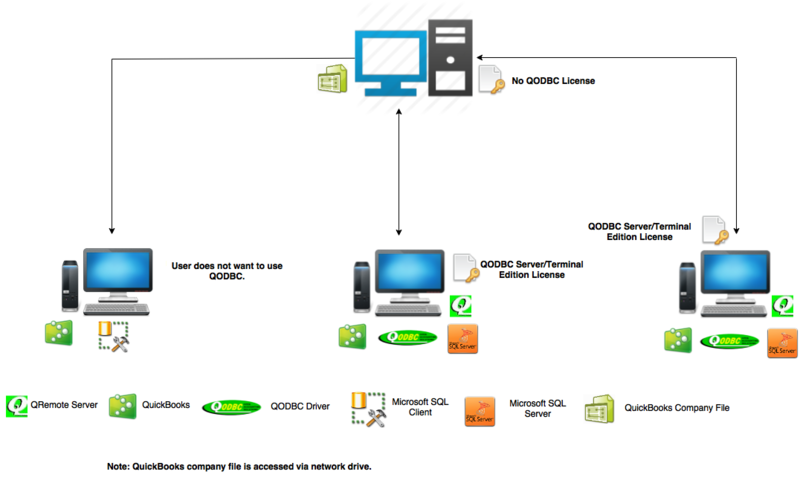 I require an ODBC read only the Quickbook, what are the steps you must follow to when the time expires QODBC demo? you have to pay something for the read-only version? You can use QODBC as a read-write version for 30 days only as an evaluation version. But QODBC evaluation version will turn to Read Only edition for QuickBooks enterprise edition – automatically after 30 days. If you want write functionality you need to purchase QODBC license. After 30 days if you try to connect and using QuickBooks Other then Enterprise edition ( ie. Pro/Premier ) you will notice "Evaluation Expired" message. After 30 days if you try to connect and using QRemote Other then QODBC Licensed you will notice "Unable to open license file" message. If you want to use QODBC with other QuickBooks Edition (i.e. Pro/Premier), then you need to purchase QODBC license. I have five user QuickBooks premier. 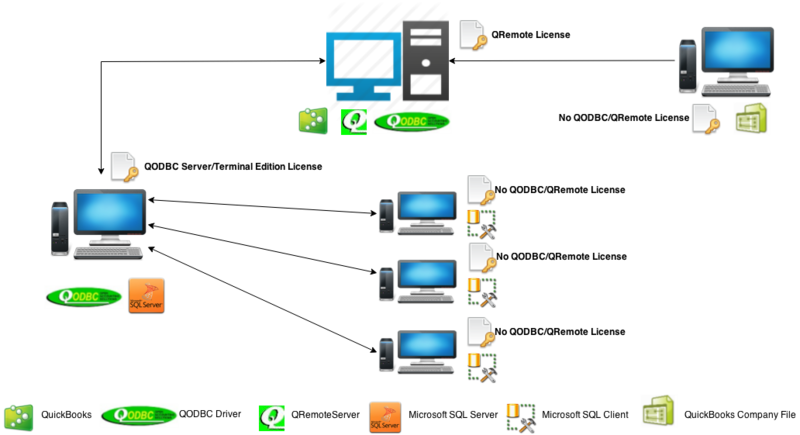 I want to use QODBC for voucher printing on all the five PCs. Do i need to purchase five different licences of QODBC or only one license will work?. I would like to share that QODBC licensing is machine wise. 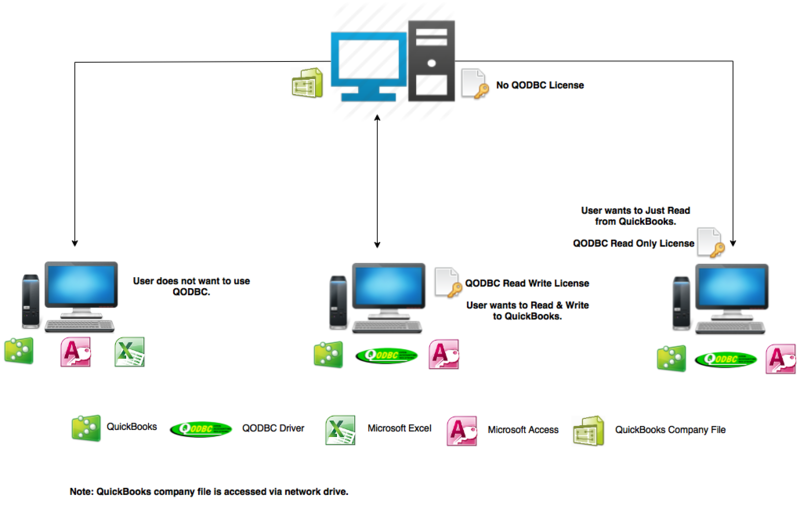 If you want to use QODBC on multiple machine's, then you need license for each machine. 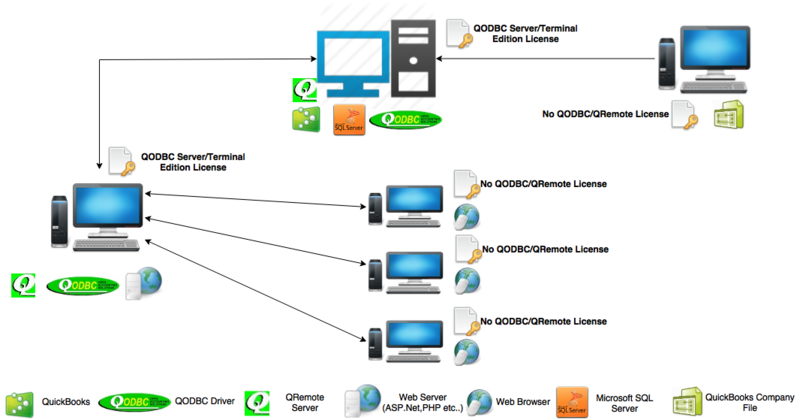 If you want to use QODBC on single machine, then you need only one license.